3 Ways Pastors Do Evangelism. 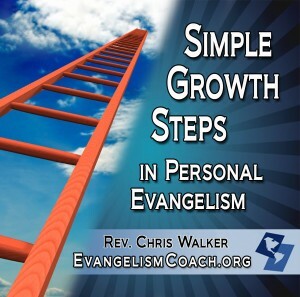 I’ve recently been working on a new talk on Personal Evangelism for Pastors, developing practical action steps so that pastors can increase their personal involvement in evangelism. Mark Dever spoke last year at the Desiring God conference and here is a little clip on this particular issue. Pastors are called to equip people to evangelism. If you want a desk job and a church, they shouldn’t be a pastor. If you want to run from non-Christians, you shouldn’t be a pastor. Through your preaching, addressing non-Christians in your midst. Greeting non-Christians after the service is over. However, Dever comes back to the pastor’s primary role of teaching the word and leading the congregation, equipping others to do the work of evangelism as well. He knows that will cut into the time you have to build those relationships outside the church, particularly if you are the senior pastor. Pastors, do you agree with Dever? Is there something you would add or change? I invite you to answer below.